The Kingdom of Cambodia attracts tourists with its unique culture, beautiful nature, sandy beaches of the Gulf of Siam, relatively low prices for tours and food, the friendly and quiet nature of the indigenous population. According to official statistics, over the first four months of 2017, 28,430 Russian tourists visited Cambodia. The growth was 19.5% compared to the same period of 2017 (23,797 visits). In 2016, the country hosted 53,164 Russian tourists, which showed a drop in tourist traffic by 4.2% from the 2015 level. Ankgor-Wat, a temple complex located in Siem Reap province in the north-west of the country is considered to be the visiting card of the country and its tourist pearl. Each year this ancient monument, included in the UNESCO list, is visited by about 2.5 million foreign tourists from all countries. In addition to Angkor Vata and other ancient temples, tourists are interested in great opportunities for a beach holiday, which the resorts of Cambodia have. The most popular beaches are located in the resort area of ​​Sihanoukville with its famous hotels Sokha beach and Independence. In addition, the resorts are also Siem Reap and the country's capital city Phnom Penh. These cities have quite a satisfactory tourist infrastructure. The hotel base of Cambodia is less than in neighboring Thailand and Vietnam, but there are also decent hotels of different categories. The service is also at a good level. For those who come for 2-3 days, it will be enough to stay in a 3 * hotel, if you have come for a longer period, then it is better to choose 4 or 5*. In total, about 400 companies are engaged in inbound tourism in Cambodia, 25 of which specialize on the Russian market. Basically, our compatriots work in these companies. There are no direct flights to Cambodia from Russia. Flights from Moscow are operated by Vietnam Airlines through Ho Chi Minh City, Thai Airlines and Aeroflot through Bangkok. The duration of the flights is about 10.5 hours without connections. Visa can be obtained upon arrival at an airport. Basically, Russian tourists book 2-3 nights excursions + rest on the coast, or just rest. Cambodia can also be combined with neighboring countries - Vietnam, Thailand, Laos. Cambodia, as a destination, deals with tour operators specializing in the countries of Southeast Asia and mass travel operators - ICS Travel Group, KMP Group, Paks, Russian Express, Intourist, Biblio Globus, Coral Travel. 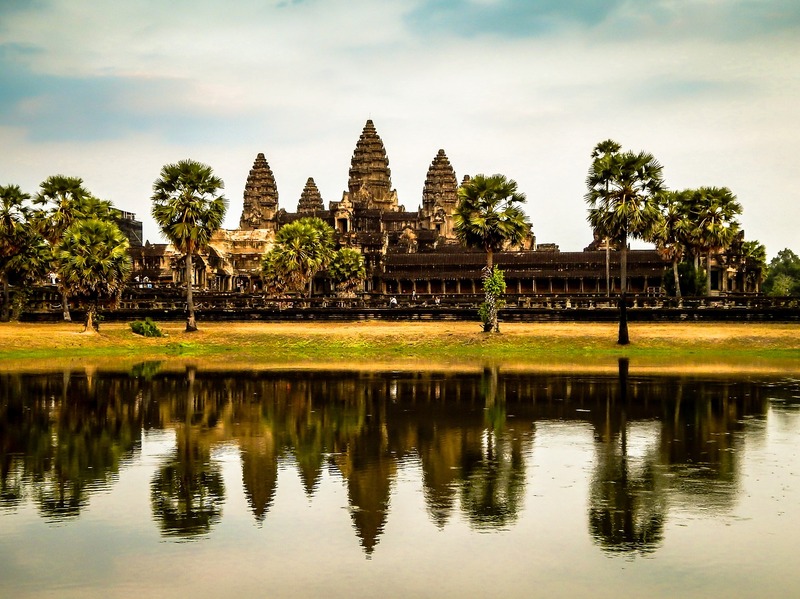 Russian experts of the destination note that the advertising of Cambodia in Russia, as well as the training of specialists in local tourism products are extremely necessary. It can be not only promotional tours, but also seminars for professionals, exhibitions, the days of Cambodia in Russia. • promotion of direct flights between the two countries, starting perhaps with charter flights. • tourist services and infrastructure, especially in coastal provinces, should be improved to meet the needs of tourists from Russia. • fam trip to Cambodia will be arranged for tour operators and travel agents from Russia to get acquainted with the destination and, in particular, with the country's beach resorts. • special forums will be held in Cambodia to unite Russian investors and businessmen from Cambodia on one platform. As a result, joint tourism projects should be launched which are concerning land and sea transport, the development of hotel and excursion infrastructure. According to Prak Vuthy, the director of marketing and promotion of ministry of tourism of Cambodia, Russian market remains of big interest. This was stated during the media briefing at Asian Tourism Forum 2019 in Vietnam.